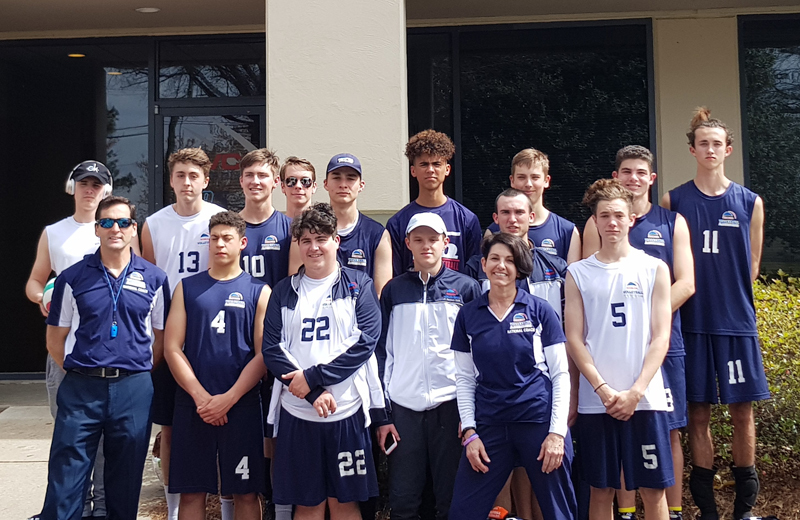 The Bermuda Junior Boys volleyball team travelled to Atlanta over the Easter weekend to participate in the International Battle of the Boys Belligerents. Some of the top players from the south would be competing as 16 teams rallied for first. Day one would see the round robin place the teams into two divisions, silver and gold. The top 8 teams would move into gold while the others battled it out in the silver bracket. “Bermuda sent two teams – JNT1 with Captains Tristan Mullin and Kaleb Hamilton along with Tyler Hurdle, Conor Sinclair, Connor Somerville, Dimitri Guiglielmucchi and Riley Rego, as well as JNT2 with Captains Brady Cordeiro and Jack Brown along with Nick Siese, Ben Barnett, Dylan Somerville, Steven Camara and Elijah Toavs,” the Bermuda Volleyball Association explained. “Both boys fell short in their games by a narrow defeat and were placed in the silver division. Day 2 would see them face off against the silver pool teams. At 9am JNT1 faced Team Triangle and were able to beat them in 2 straight games. JNT2 faced off against CUCV Onslaught and also defeated their opponent in two straight games. “And not it would be the ultimate test… both team would face each other in the semi-finals to decide who would go through to the finals and the opportunity for first place. Strong offense by JNT2 and weak serves as well as errors by JNT 1 would see JNT2 defeat their fellow teammates in 2 straight games and pass through to the Finals. “The finals would beat a nail biter as JNT 2 fell short in the first game 25-20 but then have an amazing come from behind in game 2. Down by a score of 19-23 the boys fought back and took the second game 27-25. Game 3 [played to 15] saw JNT2 keep the momentum and dominate winning the final set 15-9 and taking first place in the silver pool.